font face="Verdana" size="3" color="#000000"> Here are presented some sources of quality knives for hobby use, for kitchens, for outdoor life, for fishing and hunting and for professional use of several kind. By clicking at the product links you can buy the exhibited knife and also find other knives than that exhibited. You can also find a lot of other interesting products through the links. Store with good offers on work tools, consumer electronics, hobby products - and also many other things - This shop has a lot of equipment for most fields of the private and professional life and you can gen many advanced an high quality products for a law price. 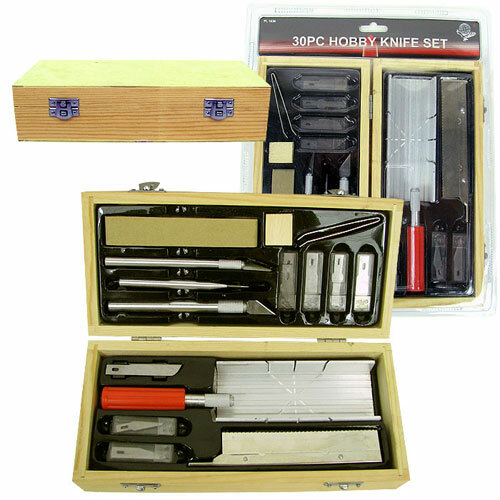 RC models and other hobby products - but also a lot of tools for hobby use - including knives - This is a good source of knives and other tools for hobby use. You also find a lot of exciting RC models, science kits, electronic kits and a lot more here. 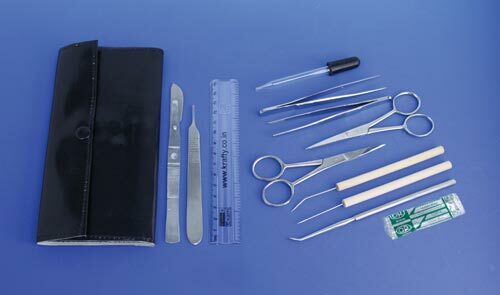 Tools and instruments for medical use, laboratories and similar purposes - including knives, scalpels and microtomes - This is a good source of tools and instruments for hopsitals, medical centers, doctor offices, dental care, laboratories and other biological use, including instruments for cutting. The KA-BAR 7503 Jarosz Turok is the second knife under the KA-BAR/Jarosz banner. The Turok is made in the USA from 1095 Cro-Van steel. It measures 11.5 overall features a blade with a 6.25 length and is sold with a Celcon sheath. The Jarosz family has a long and proud tradition of working with their hands to produce quality products from woodworking to general carpentry. Jesse used his family's knowledge work ethic and access to equipment at a young age to build the skills that would lead to the creation of Jarosz Knives. Set of High-quality knife with a profileground multi-functional blade as well as a patterned high-friction grip handle. Able to handle everything from fine carpentry work to cable scaling which makes this knife a favorite among carpenters electricians and construction workers. Blade of swedish cold-rolled special stainless steel. Orange plastic sheath with a flexible leather strap. Axe head of black epoxy coated boron steel. Reinforced orange plastic handle. Leather sheath. Weight 0.5 kg. 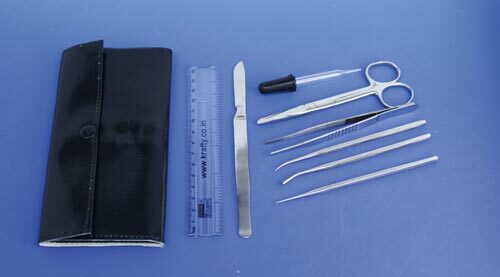 forceps, pair of teasing needles, mall probe, dropping pipet, clear plastic ruler and single fold case. fine point forceps, mall probe, straight teasing needle, curved teasing needle, dropping pipet, clear plastic ruler, soft vinyl case, 12 loop. Easy to use this microtome lets you cut sections to 10 microns. Equipped with clamping mechanism for securing various shapes and sizes of objects. Supplied in a wood storage box with 2 glass overlays for the stage and a tempered steel razor knife. Includes instructions for use. Dimension - 14 L x 18 W x 6 H in. Silver Creek Fillet Knives have quickly become popular among fisherman with their corrosion resistant Titanium coated flexible blades and rubberized handles. 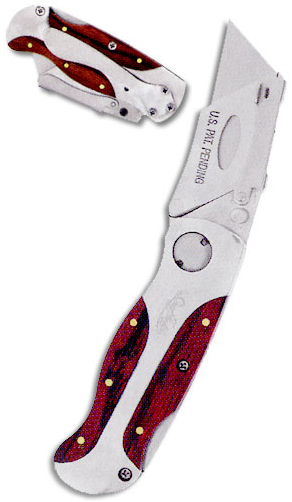 For added convenience Buck now offers a folding Silver Creek Fillet Knife which is great for any fishing kit. The folder still has all the benefits of the fixed blade fillet knives but is convenient for fishermen to carry with them due to its compact size. It utilizes a midlock back design for safety while in use. Weight: 6.0 oz. Handle Material: Glass reinforced polypropylene with TPE rubber and a stainless steel guard. Blade Steel: 420J2; Flexible Titanium coated; Razor Edge. Closed Length: 7 1/4 . Blade Length: 6 1/2 . China Made. The Vikings are still a synonym for extraordinary abilities. Not only were they brave and courageous seamen and warriors, but also very competent forgers. Designed by the renowned knifemaker Jesper Voxnaes from Denmark, the homeland of the Vikings, and handmade in the Boker Manufactory in Solingen, Germany, the home of high quality blades, the Gorm (named after the first Danish king) combines ageless virtues which make this knife series a real masterpiece of kitchen cutlery. The choice of materials is as extraordinary as the design. Equipped with stainless 440C steel with its high edge retention and a Rockwell hardness of 58-59 HRC, Gorm is by far superior to any ordinary kitchen knife blades, and is as tough as the Vikings. The characteristically shaped hole in the blade makes the Gorm especially unique. This elegant wine knife features a 4034 stainless steel blade cap lifter and cork screw housed in oak scales crafted from old wine barrels. A truly interesting and unique piece! Serial numbered. Pouch not included. Blade length: 2 1/2. Closed?length: 3 1/2. Weight:? ?2.4 oz. Usmc heavy duty combat knife. Usmc and insignia printed on blade. Overall length - 13-5/8 in. Blade length - 8-1/2 in. Long 3/16 in. Thick. Blade material - Stainless steel with stealth black finish. Sheath - Ballistic nylon custom made. Fiskars 502973 Machete 22 In. The 12 Survivors Stainless Steel Machete TS71001 has been designed to be the ideal cutting tool for any outdoor environment. This Camping Machete from 12 Survivors is constructed out of full tang steel to bring you a quality slashing and chopping tool to cut your way out of the thickest brush. Equipped with a paracord handle the 12 Survivors 18in Machete is easy to grip and maintain positive control while chopping. Gear includes compass scalpel matches tweezers pencil fish hook and line sewing kit bandages and sharpener. Carried in a Renegade Tough sheath. Don't leave camp without it. Stylish and innovative the FlashPoint is perfect for general use and specifically designed for use in the outdoors whether it is climbing hiking camping biking etc... The SafeSpin open/close technology allows one to deploy the blade without having to place their hand or fingers near the blade. The slide lock securely locks the blade open and closed for ultimate safety. As a bonus this knife incorporates into the handle a bottle opener and carabineer clip. Overall this knife is safe and easy and will be a great asset on your next outdoor excursion. This 14 inch survival knife with drop point blade features a thick quality stainless steel blade with serrated top edge. Textured and ribbed solid metal handle and guard. Injection molded sheath with jungle military green cord wraps and lanyard. Survival kit includes: . multi function skinning knife. can opener. slingshot. matches. compass. sewing kit. fishing kit. bandaids. tweezers. signaling mirror. and morePart of the kit is stored in a plastic tube inside the handle which seals with a rubber Oring to increase water resistance. The rest is stored inside the sheath. Swiss Army Knife - EVO 18 Genuine 11 Implements, 15 Function Genuine Swiss Army Knife is available from jewelbasket.com for only $82.00. Buy now and save. Jewelbasket offers the best value on , jewelry and gifts. This is the updated version of the official knife issued to all members of the Swiss military. Surge is a multitool powerhousebuilt with tough new pliers longer blades and easytouse locks. A unique blade exchanger comes with saw and diamond/wood file blades. Large and small bit drivers include doubleended bits. And 4 outsideopening blades give you quick access to the tools you use most. With these new features plus Leatherman s strongest scissors yet Surge is sure to make a splash at the work site. Stainless Steel. AllLocking Blades. Needlenose Pliers. Regular Pliers. Wire Cutters. HardWire Cutters. StrandedWire Cutters. Electrical Crimper. ClipPoint Knife. Serrated Knife. Scissors. Blade Exchanger. Diamond File Blade. Wood File Blade. Saw Blade. Large Bit Driver. Small Bit Driver. 5/16 Screwdriver. Awl w/Thread Loop. Ruler (9 inches/22 cm). Bottle/Can Opener. Wire Stripper. Lanyard Ring. Two DoubleEnded Bits. The Marina MultiTool helps keep the interior of your aquarium neat and well manicured without getting your hands wet. It comes complete with interchangeable parts. Simply grasp the hand grip and squeeze to control the snip grip or maintenance head at the other end. The snip and grip head cuts and removes plant leaves in one easy step. The maintenance head allows you to place or move decorations remove debris and place tablet fertilizers at plant root zone without uprooting plants. SoftCurve Grip Cutlery Soft, ergonomically designed handles are contoured for a comfortable grip. 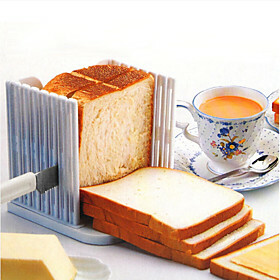 Slight curve at end allows utensils to nestle securely in hand. Stainless steel with santoprene handles. Dishwasher safe. This set includes one 12.5 cake knife and one 11 cake server. Both are made of stainless steel. The handle is beautiful glass with a frosted floral pattern. By clicking at these banners you will find a lot of helicopter and aircraft models, and also a lot of other hobby articles.